The Synopsis Processor Designer kept costs down while increasing productivity. Yamaha's new XMP-1 DSP is impressive, offering 32-channel phrase sound generation and AudioEngine effects. What's even more interesting, especially for Yamaha, is the amount of time required to create it. The new Synopsys Processor Designer has made development that much easier. "With Processor Designer," says product development manager Morito Morishima, "we doubled functionality for our high definition sound generation DSP, developing it in just one year, including the entire software development tool chain, while reducing cost." 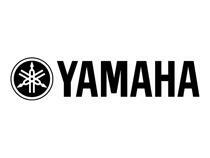 Quicker and more efficient production of DSPs could certainly amount to cheaper prices to consumers or, at the very least, more frequent upgrades to Yamaha's product lines.